God honours marriage, that’s why Apostle Paul says in 1 Corinthians 7:2; each man should have his own wife and each woman her own husband, not girlfriend or boyfriend. Mr Caiphus Mphahlele from Polokwane came to testify during the Friday School service about his dilemma that saw him cohabiting with his then girlfriend for ten years. Mr Mphahlele said he had paid part of the dowry (lobola) and was staying with his partner and even had four children together. “Each time I tried to do the honourable thing, there were challenges in finances which resulted in postponements and delays” he said. He started coming to Rabboni Centre Ministries (RCM) and every time the man of God Prof. Lesego Daniel prayed for him, he would say ‘You know what to do”. In November 2017 while he and his wife were busy with wedding arrangements, he lost his job and there was not enough money once again. In February 2018, he got another job and his hope was restored, however in July he was involved in a car accident and his car was written off. 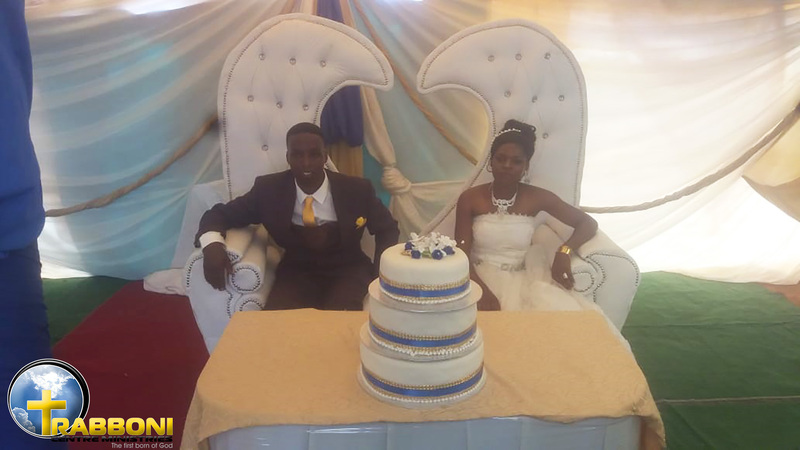 “After all the wedding arrangements, I came to Rabboni Centre Ministries during the spiritual birthday and conference in September 2018 and I spoke with my father one on one. 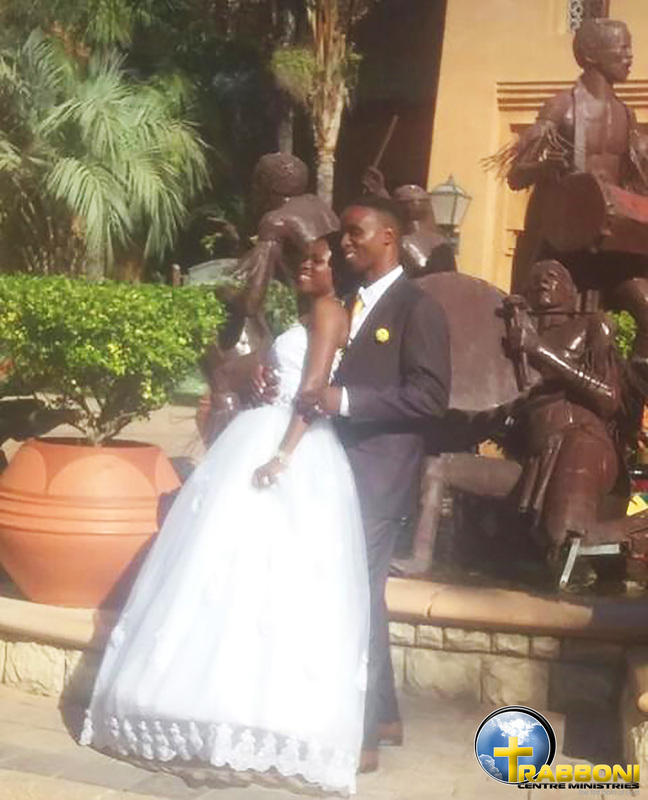 I explained to him how all arrangements were made but that nobody was willing to marry my wife and I” said Mr Mphahlele. The man of God told him not to worry and that he will send disciples in the house to officiate the ceremony. The wedding was a two day event (6th and 7th October 2018) and indeed men and women of God whom the father had sent were present. “As Papa mentioned when I saw him in September 2018 that I will bring a testimony, here I am today to testify of the greatness of God. 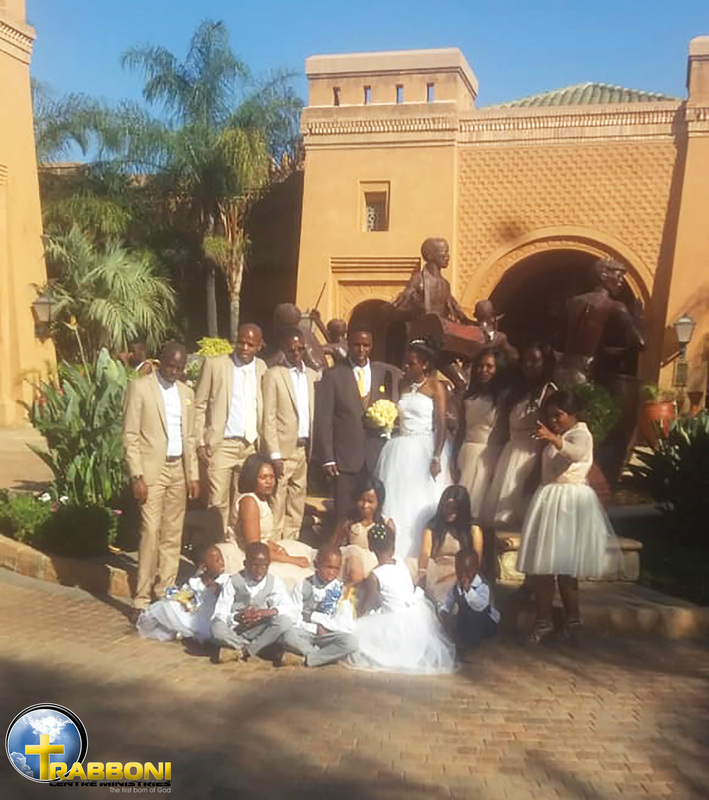 The whole wedding celebration was a success” said the jubilant Mr Mphahlele.